Having been in New York City for a bit I became accustomed to parking wherever I could find even a remotely legal space. 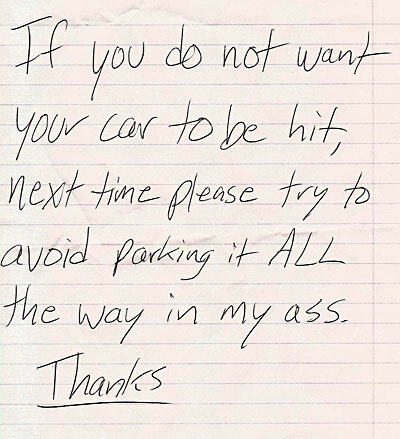 On returning to Charleston I continued this cutthroat mentality in regards to parking, but ended up slightly inconveniencing some poor person to whom I parked very close. It couldn’t have been that close, though, cause my car showed no marks.